The meeting feedback survey built into Lucid helps meeting leaders learn when the process is working, and when it needs improvement. 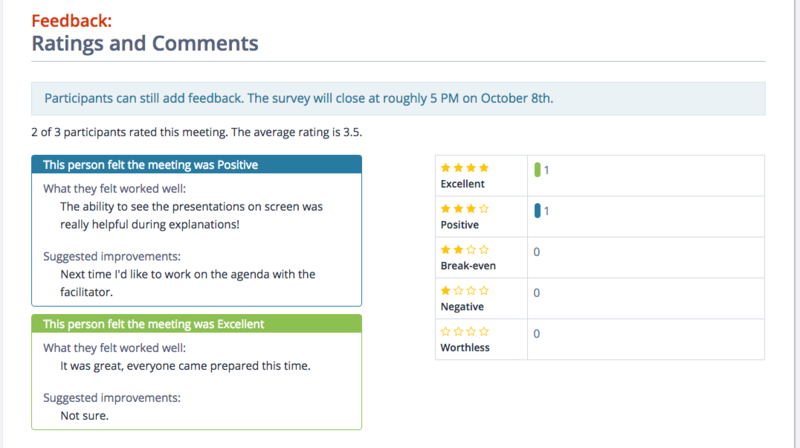 The simple, anonymous feedback form asks each participant for a quick rating and suggestions they may have for future meetings. These ratings then appear in the overall meeting report, providing context about the meeting that can shed light on why people felt the way they did.